Chuck Norris and his wife Gena have spent more than $2 million treating her for gadolinium toxicity — a devastating condition they say was caused by the gadolinium contrast dye used in MRI scans she underwent several years ago. They’re now suing 11 separate makers of these contrast dyes in a $10 million lawsuit. This brief recent news report from Full Measure with Sharyl Attkisson spotlights her posioning, and covers the Food and Drug Administration’s (FDA) new warnings for gadolinium toxicity. While the FDA has insisted for years that gadolinium-based contrast agents (GBCA) are only risky for patients with kidney disease, Gena had normal kidney function prior to her MRIs. And there are a growing number of other people with normal renal function who insist their debilitating chronic symptoms only appeared after they had contrast MRIs. These symptoms include brain fog, cognitive deficits, burning pain throughout the body, bone pain, joint pain, skin changes and hair loss. Some people also experience tingling and shaking. Most doctors know absolutely nothing about gadolinium toxicity. They don’t connect the symptoms to the contrast material used in MRIs. And the FDA has ensured them that gadolinium is harmless. Here are some things to keep in mind as you read this article:. Europe has removed several gadolinium contrast products from the market “as a precaution”; the U.S has not. [#1] Why is gadolinium used in MRIs anyway? [#5] I think I have gadolinium poisoning. What can I do? Why is gadolinium used in MRIs? It’s used in gadolinium contrast medium, sometimes called dyes. Physicians sometimes use them to make the results from MRI scans easier to read. When they do use it, they inject the dye into the patient before the scan. Patients filter the dyes through their kidneys. It’s supposed to be excreted in your urine within 24 hours. Gadolinium is toxic, but dyes contain a carrier molecule that’s supposed to make it non-toxic. There are different brands of gadolinium dyes and a variety of carrier molecules. Studies have shown that gadolinium is NOT safe for use in people with compromised kidney function because it can’t be excreted properly. In these patients, gadolinium retention can cause a potentially fatal (and incurable) condition called nephrogenic systemic fibrosis, or NSF. But the medical establishment assumed that gadolinium was safe for everyone else because they believed it was excreted by the kidneys within 24 hours in patients with normal kidney function. It can remain in the body for weeks, months or even years. This can cause Gadolinium Deposition Disease, or GDD, which can have serious long-term side effects, according to activisit groups on websites and on social media. If not for the thousands of patients — including Gena Norris — who have come forward to warn others about the risks of gadolinium poisoning, we probably wouldn’t even know it existed. These advocacy groups have forced to the FDA to take a deeper look at the issue. In September 2017, the FDA held a public meeting in which advocates presented their stories. 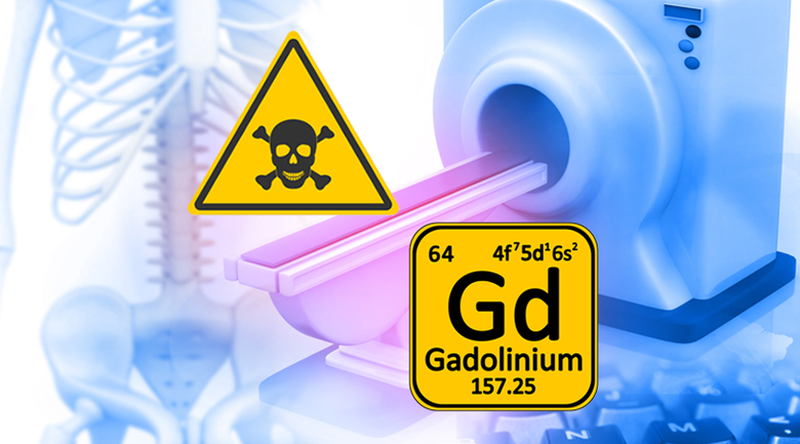 While the FDA has now called for more studies on the safety of gadolinium and an updated warning from manufacturers, they have NOT removed it from the market. The most recent warning, issued in May 2018, required makers of GBCAs to give doctors new prescribing alerts: It says patients at the highest risk of gadolinium retention include those taking multiple lifetime doses, pregnant patients, children and patients with inflammatory conditions. What really concerns me here is that there are MILLIONS of Americans walking around with inflammatory conditions! And doctors and researchers really don’t know what the long-term effects of these gadolinium brain deposits are. Key takeaway: Some gadolinium can remain in your body after treatment. It is never safe for people with compromised kidney function and may not be safe even for people with normal kidney function. Gadolinium is definitely not safe during pregnancy. There’s no controversy here. As I mentioned above, Chuck Norris and his wife have filed a $10 million lawsuit against several manufacturers of GBCAs. And they’re not the only ones. Multiple lawsuits have been filed around the country, and more are expected as more people learn about Gadolinium Deposition Disease. That’s one of the biggest challenges right now. Thousands of people — or more — may be affected, but may not know that their chronic pain, skin conditions and cognitive impairments may have been caused by MRIs they had done years ago. Lawyers around the country are actively seeking clients who feel they may have been harmed by gadolinium-based contrast dyes, especially if they were given dyes made by the companies Omniscan and Optimark. A quick Google search for “gadolinium lawsuits” will bring up multiple law practices who know who to handle these cases. Because Gadolinium Deposition Disease is such a new diagnosis, there is no standard way to test for it. That said, a urine test will show high levels of retained gadolinium. Blood tests can also easily detect the presence of retained gadolinium. Unfortunately, there are no specific treatments for gadolinium toxicity. And incredibly, the ones that show the most promise are not approved by the FDA to treat gadolinium toxicity. That means if you decide to try them, don’t count on insurance to pick up the cost — you’ll have to pay for the treatments yourself. According to published reports, Gena Morris chose alternative medical treatments — including stem cell therapy — at clinics in Reno, Nevada, and in China to cure her of her symptoms. Another possible treatment being investigated in chelation therapy, which is only FDA-approved for removing lead from the body, although many alternative medicine practitioners around the country regularly use chelation to remove other heavy metals and toxins from their patients’ bodies. As of August 2018, results from chelation studies were mixed. While the chelation therapy has been successful at removing some of the retained gadolinium, symptoms have not seemed to improve. Key takeaway: Online support groups can provide a wealth of help and information for people who believe they have been affected by gadolinium toxicity. 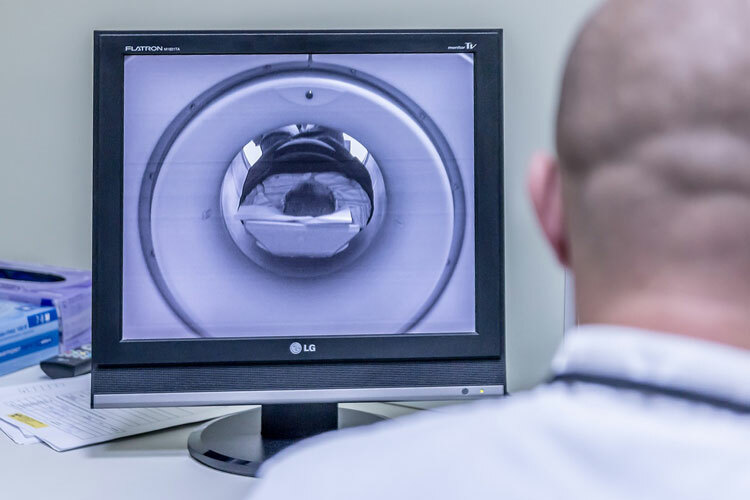 If you are scheduled for an MRI, it is YOUR RIGHT to ask your doctor if he or she believes the test is truly necessary. Do you have other options? What are they? 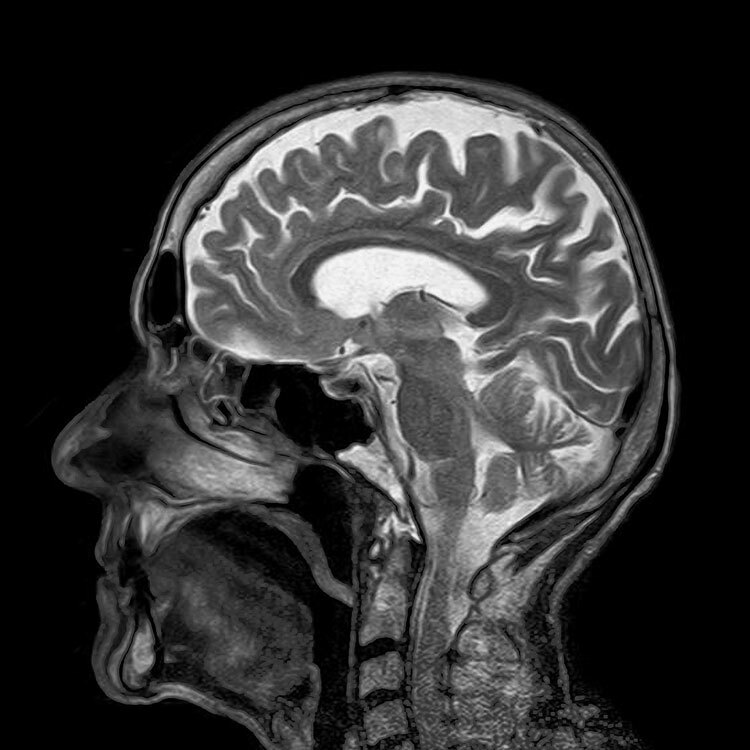 If it is necessary, ask if it’s possible to NOT have a contrast-enhanced MRI. If you are experiencing symptoms of GBCA exposure and you’ve had MRIs in the past, I would advise you to find a support group (There are a few on Facebook with several thousands members). They’ll be up-to-date on the most current news and information and may even be able to help you find a knowledgeable doctor or attorney. I’d also recommend the website gadoliniumtoxicity.com[*]. This activist-run site has everything you’d ever want to know about this frightening condition, including the most current research on testing and treatments. 1. Gadolinium contrast dyes are used to enhance MRI images. They may remain in the system long after the scan. 2. It is never safe for people with compromised kidney function and may not be safe even for people with normal kidney function. 3. 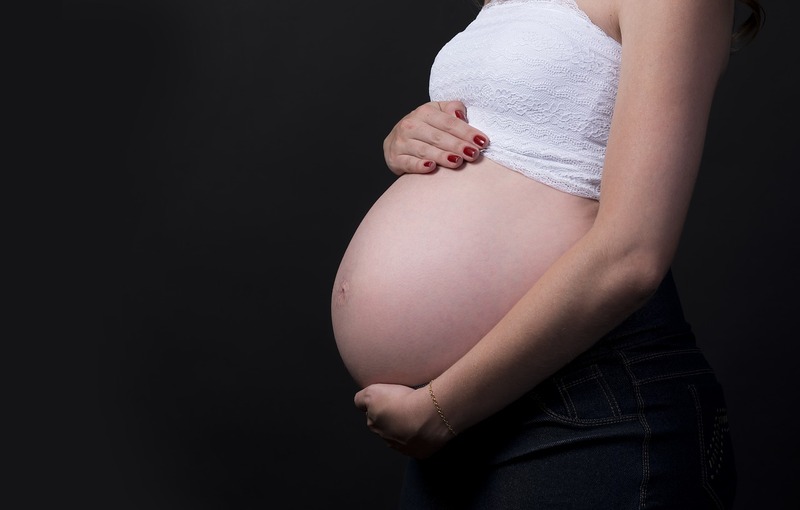 Gadolinium is NOT safe for pregnant women. 4. Gadolinium Deposition Disease is a new diagnosis with no standard testing procedures or treatments. 5. Online support groups can provide a wealth of help and information for people who believe they have been affected by gadolinium toxicity. That’s why it’s so important that you stay informed, connect with others, and be your own health advocate. 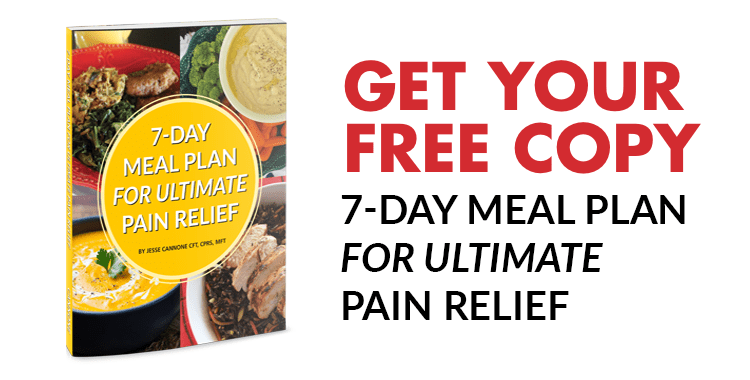 Whether you’re struggling with weight, chronic pain, or any of the chronic diseases we generally associate with getting older. iii Ranga, Anju, Yatish Agarwal, and Kanika J Garg. “Gadolinium Based Contrast Agents in Current Practice: Risks of Accumulation and Toxicity in Patients with Normal Renal Function.” The Indian Journal of Radiology & Imaging 27.2 (2017): 141–147. PMC. Web. 22 Aug. 2018.
iv Ray JG, Vermeulen MJ, Bharatha A, Montanera WJ, Park AL. “Association Between MRI Exposure During Pregnancy and Fetal and Childhood Outcomes.” JAMA. 2016;316(9):952–961. v DeNoon, Daniel J. “Darvon, Darvocet Banned: Controversial Painkiller Sunk by Dangerous Heart Side Effects.” WebMD (webmd.com) Nove. 19, 2010.